We’ve known that the Samsung Galaxy Note 2 was heading to all major US carriers for a while now but it wasn’t until October 9 that T-Mobile made an official announcement regarding the 5.5-inch device and their upcoming fall release plans. 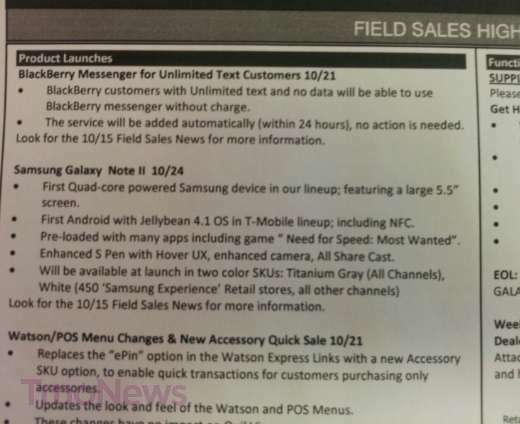 The document seems to corroborate previous information that the Samsung Galaxy Note 2 will be launching in the US on October 24. So mark your calendars if you’ve got your eye on this device. 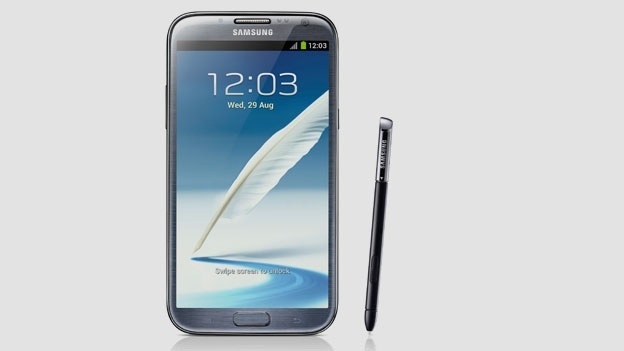 Will you be getting the Samsung Galaxy Note 2 via T-Mobile? Let us know in the comments below!